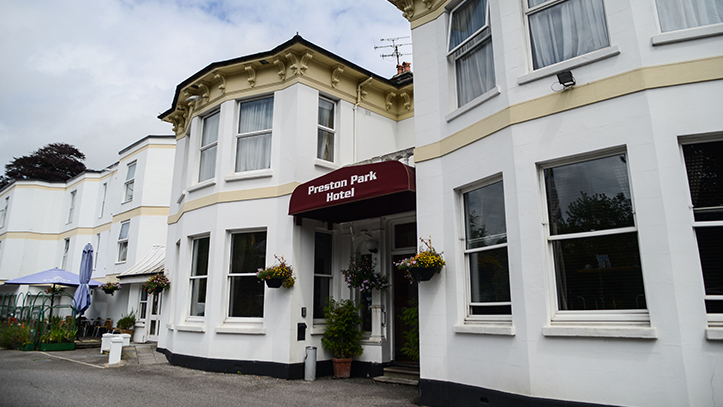 Located in Preston Village on the main road of Brighton the Preston Park Hotel is within walking distance from Brighton’s largest park, the Preston Park Train Station and only ten minutes away from the seafront and all city centers shopping with 24hours transport available just outside the hotel. Coming by car, the hotel is well accessible from the A23 Road, which connects London to Brighton and A27 to Lewes. The Gatwick Airport is only a short 25 minutes drive and the historic Lewes Castle, Firle Place and Anne of Cleves house is within 20 minutes drive. For the Golf lovers, we are located within 10 minutes drive to famous Devils Dyke Golf Course and the Devil Dyke pub, which offers a breathtaking view of Brighton. The Preston Park Hotel has a 24-hour front desk and a bar, and offers rooms with on-site private parking free of charge. Wi-Fi is available through out the hotel. Rooms at Preston Park Hotel come with tea and coffee making facilities and Free View TV channels. All rooms comprise a private bathroom fitted with a bathtub or a shower and a hairdryer. A wholesome breakfast is served every morning in the common dining room, and drinks and refreshments are available in the property's bar throughout the day. Brighton's City Centre features a variety of organic cafés, as well as restaurants and pubs serving British specialties.